Plus Size Kitten: TGV Laugh Out Loud Comedy Month & Goodies! the funniest cinema in Malaysia! TGV Cinemas has come up with really crazy ideas nowadays. 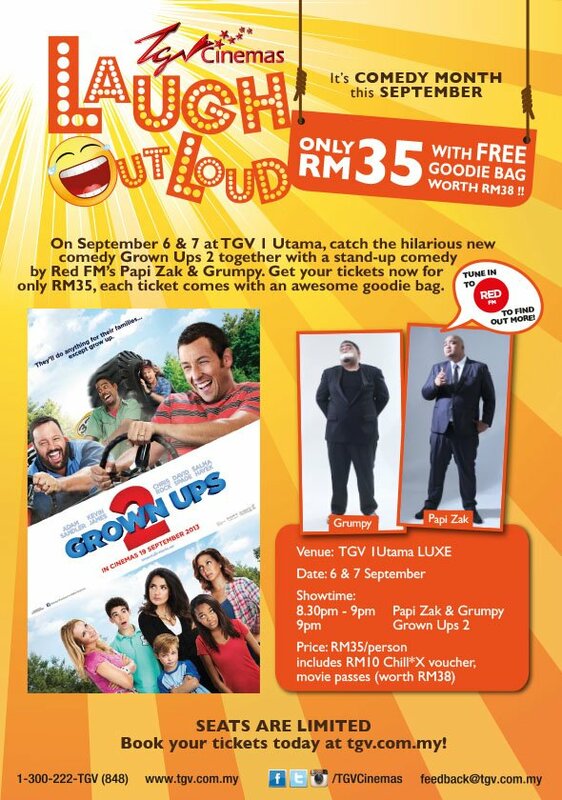 I gotta salute them for thinking out of the box with their latest movie promotion - TGV Laugh Out Loud Month! September is their comedy month and what better way to tickle our tummy by inviting the two funniest Radio DJs around, Papi Zak & Grumpy from RedFM to do a stand-up comedy just right before the real comedy movie starts! I got to experience this recently, a taste of what this is all about at TGV 1Utama. It was for the movie Meet the Millers, a seriously hilarious family comedy show where 4 dysfunctional people group up to make heist in Mexico. Recommended for families! It's a serious hoot I tell you. No Spoilers just watch the trailer alright? 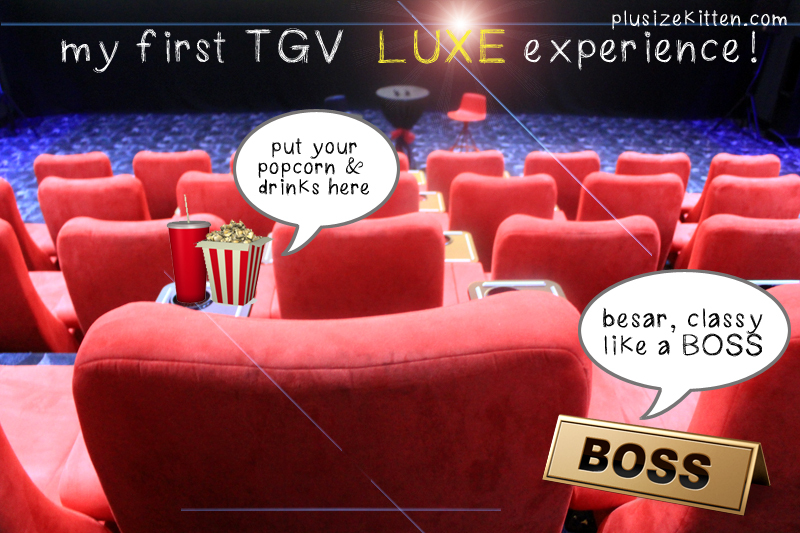 have you been to TGV LUXE? catch the TGV LOL in LUXE style! The TGV Laugh Out Loud comedy is shown only at the latest TGV cinema hall call the LUXE (formerly known as Club?). It's a gigantic hall, bigger, better and more "boss" like than other cinema halls in TGV. It was my first taste of what being a boss is like, nobody to rub shoulders with, enough leg room so nobody steps on my toes when they pass through to go bathroom break and a nice small table at the side to put your "makanan" on it! Think of it as your own private home theatre but now in a bigger and more "boss" friends sitting beside you. harlo we're the handsome dudes today at TGV! babe, nak kluar dating tak? Papi & Grumpy is here to make u laugh! 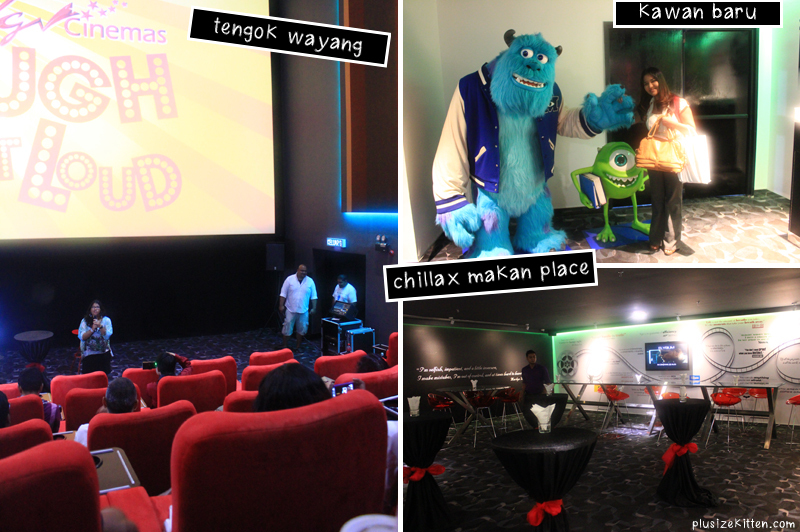 food, friends & flicks, meet Chill*X Cafe! Next to the hall is another new addition by TGV! It's called the Chill*X, a big cafe with theme seats and sections for food, friends and flicks! (this is their motto). Coming from the entrance it has a more cozy atmosphere with bean bags and couches for guests to sit and order burgers, fries or milkshakes! Either have it brought to you at your seat or take it to your seat to movie and dine with. Now this place is huge! it's a L shape cafe, so after the cozy section you turn left and there's a bigger section downtown. It's more classy, kinda like a Rolls Royce setting (see pic). One could do a car roadshow here with James Bond going "coffee, tea or me?". catch the TGV LOL movies on 6th & 7th Sept! these goodies! yes u get movie passes & food vouchers! Not bad I say for RM35, you literally get back your movie's worth and MORE. 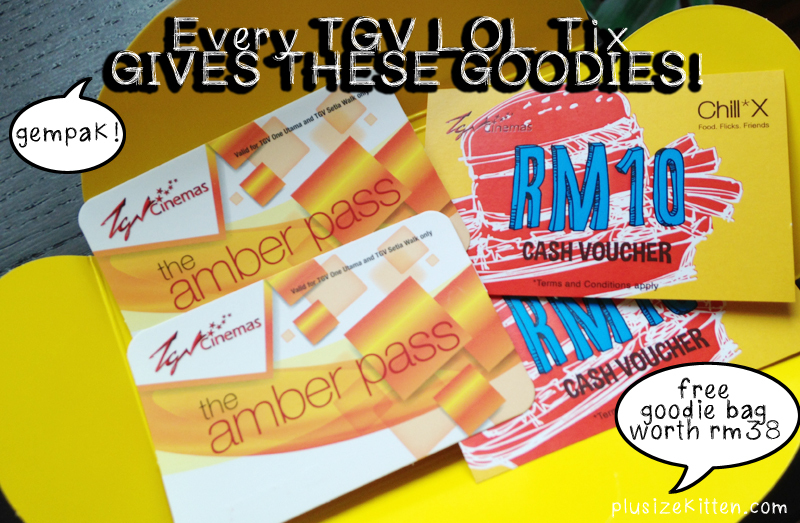 The goodie bag gives you two (2) amber movie passes and two (2) RM10 cash voucher for Chill*X (no min purchase required!). Hell a good deal if you asked me. Go to TGV website to find out more. it's really good deal man.. i mean yeah rm35 for a normal movie ticket is expensive but this one ada stand up comedy kat their boss hall, siap dengan goodie bag ada RM20 cash voucher beli makananan kat Chill*X then 2 movie pass pulak tengok wayang lagi!!! eh kenapa best sangat ni? nak jugak!! best kan... I tunggu gaji masuk.. ish kalau tak dah beli!!!!!!!!!!!!! !